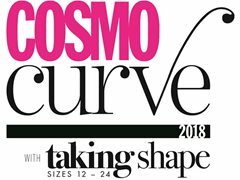 Cosmopolitan Australia, in partnership with Taking Shape, is hosting its first ever Cosmo Curve, a nationwide search to find a new body positive model with castings being held in Myer stores across the country. Cosmo Curve is looking for someone who is more than a beautiful face - its searching for a woman who is unashamedly bold, proudly curvy and an inspiring advocate for real bodies. During the month of March, Cosmo Curve will be travelling across the country hosting open castings at Myer stores in five capital cities - Melbourne, Brisbane, Sydney, Adelaide and Perth - to find the next face of Bella Management, the agency that represents international model Robyn Lawley. Click Apply now for more information or to register your interest in the Cosmo Curve search!